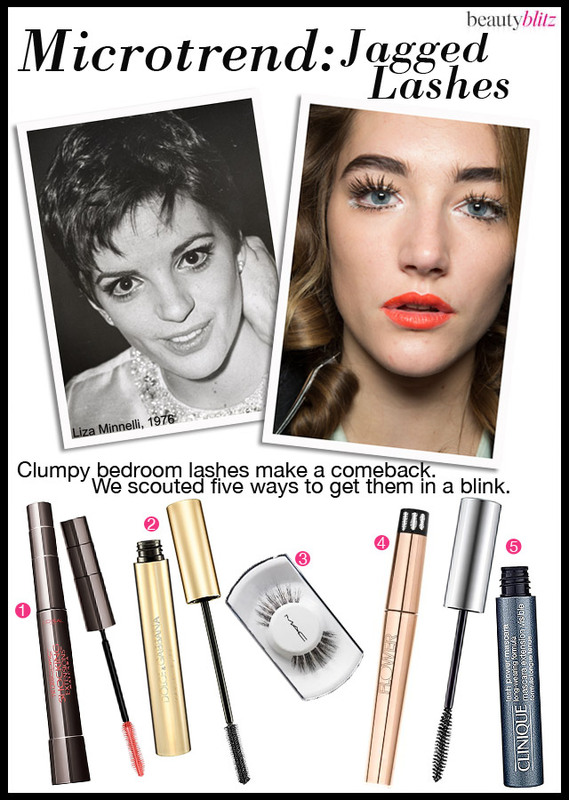 Jagged lashes: Liza Minnelli rocked them in 1976 and Moschino brought them back for Spring 2013. This is one trend that everyone can achieve with the right mascara or a strip of false lashes. 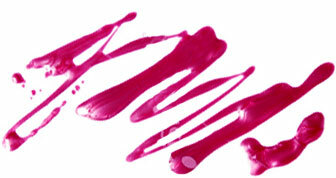 For mascara, stick to a thinner, lengthening brush. It will help you get every single little lash separated for the ultimate spider effect. Check out our favorite lash hugging mascaras and runway-approved falsies below! L’Oreal Paris’ latest mascara separates each lash with one swipe. Its lash hugging brush grabs every lash and lengthens to the extreme. No falsies required! This luxurious lengthening mascara works to extend and separate each lash for a natural, flirty look. At Moschino Spring 2013, Tom Pecheux used MAC 35 Lash for the top lashes and MAC 33 Lash for the bottom lashes. The customizable brush on this mascara lets you adjust for length and volume. Adjust the wand so it is fully extended and watch your jagged lashes come to life. We love the smear-proof, long-wearing formula and thin brush combo. It’s perfect for enhancing even the tiniest of lashes. Plus, you don’t have to worry about racoon eyes.